In today’s increasingly specialist markets, greater demands are placed on technical expertise, health and safety together with legislative compliance. Such demands mean that customers require more than a simple hire and sales capability. That’s why M4 Lifting has developed services, which cover so many different aspects of lifting. 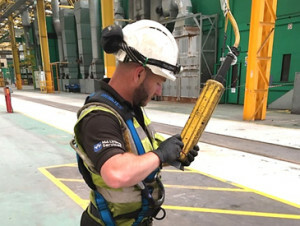 Lifting equipment that is coming to the end of its serviceable life or has that been inadequately maintained is a substantial risk to safe and efficient lifting operations. 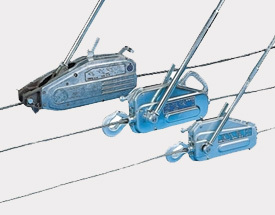 Consequently, inspection, testing, examination, maintenance and certification procedures for all forms of lifting gear should be rigorously adhered to. M4 are lifting specialists and everything we do is done to ensure that we can provide our customers with the most cost effective services when customers need them. 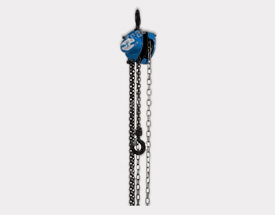 This helps ensure that their productivity is not put at risk and their lifting equipment is safe, fit for purpose and fully compliant with all relevant legal requirements. 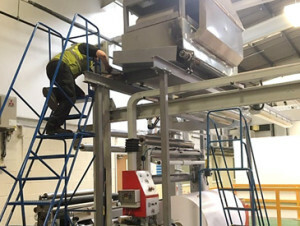 Be it advice on the right equipment for a job, a height of lift issue or a complicated lift requiring method statements, there’s practically no lifting situation we haven’t seen before. 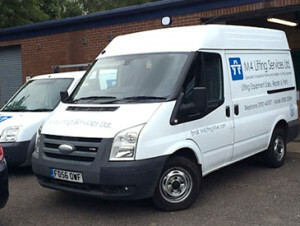 We’ll give you the best and quickest solution for your needs and help ensure that your job’s done right first time! 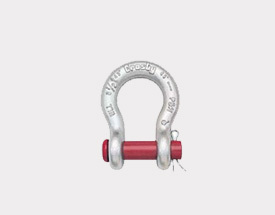 M4 Lifting also offer a wide range of quality brand leading products for your lifting and material handling requirements. Please get in touch, we’d be delighted to be of service! 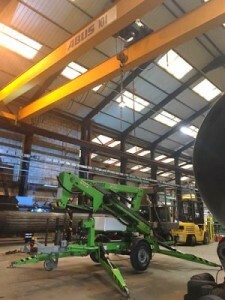 M4 Lifting Services personnel have been inspecting and certifying all types of lifting equipment at customers’ premises for many years and have all the skills and expertise to ensure that your lifting equipment is legally compliant and your lifting equipment assets are far easier to manage. Our online internet asset management for lifting equipment offers peace of mind and helps to ensure you are operating within the Lifting Operation and Lifting Equipment Regulations (LOLER). 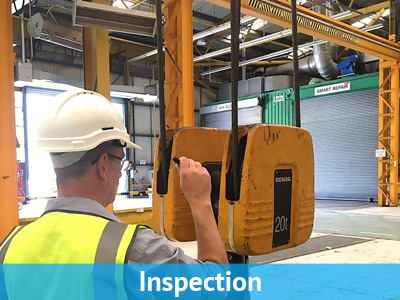 M4 Lifting inspect and test your lifting equipment assets in line with all current regulations using contemporary equipment and utilise the latest online certification systems. An extensive range of ‘light load’, ‘safe working load’ and ‘proof load’ tests are conducted using live or simulated loads. M4 test also test installations. 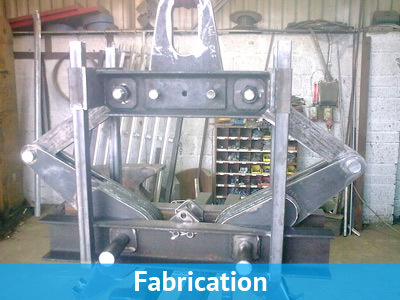 Whether it’s a davit, lifting beam, lifting point, overhead or jib crane, in a workshop, production area or loading bay, M4 utilise the most up to date working practices to conduct testing on any type of lifting equipment. 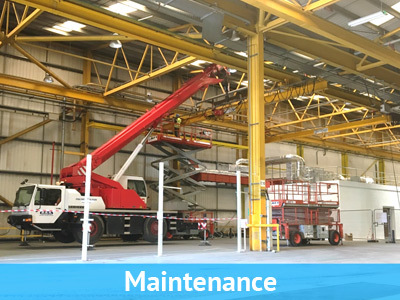 M4 Lifting Services refurbish and repair your lifting equipment on your site at your convenience, or in our own fully equipped workshop. 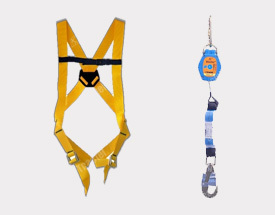 We carry in depth stocks of spares for popular equipment and it is our policy to only carry out work that really needs to be done and M4 Lifting will not won’t replace parts unnecessarily. On completion of all work both a thorough examination certificates and an inspection report are issued. 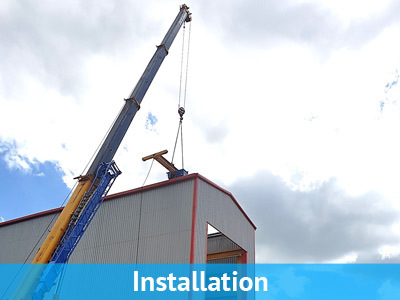 M4 Lifting Services offer competitive pricing on leading brand quality equipment and an extensive range of equipment that is extremely durable and fit-for-purpose, providing value for money, easy maintenance and economical serviceability. We advise on technical specifications, capacity and performance, offer competitive delivery plus an extensive after-sales service. M4’s broad product knowledge and vast experience makes the acquisition of key equipment so much easier for you.